Holland Haven Marathon runners experience the beautiful coast of Lake Michigan as they travel from Grand Haven to Holland. This point-to-point marathon follows Lakeshore Drive past summer cottages and over majestic hills right into downtown Holland. The early September weekend allows for mild weather and a last chance to qualify for the Boston Marathon. Boston qualifying hopefuls love this opportunity to make the cut only one day before registration opens. The 26.2 mile course is USATF certified as a Boston qualifier. The 13.1 mile Holland Haven Half Marathon begins at Camp Geneva Christian Youth Camp along the Lake Michigan coastline. Runners follow the scenic Lakeshore Drive past the beaches and into the City of Holland. The flat and fast course is comprised of paved bike paths along Lake Michigan and Lake Macatawa. This one-way race is one-of-a-kind in West Michigan, uniting communities in a unique event. The 8K race is a great segue into longer distance races. 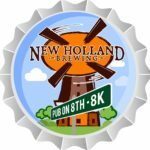 The 2nd annual Holland Haven 8 kilometer race is a flat route, out-and-back course. As a mid-distance road race, it is accessible enough for the novice runner yet incredibly challenging to experienced racers. 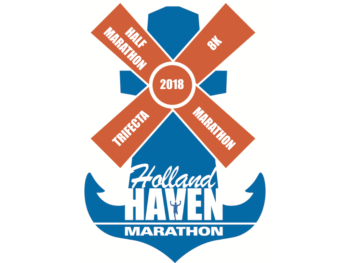 Participants can do the Holland Haven 8K as a fun run with kids and as an 8K walk. All runners celebrate their accomplishments at our post race party with live music, local beer, local cider, local food and vendor race expo. Every race finisher retrieves a commemorative race medal. Those completing all 3 distances in separate years earn the coveted Trifecta Medal. Holland Haven Marathon is proud to support Camp Geneva – Charity Partner 2018.